Have you ever received a handwritten thank you card from someone? Most people rarely send thank you cards at all anymore. 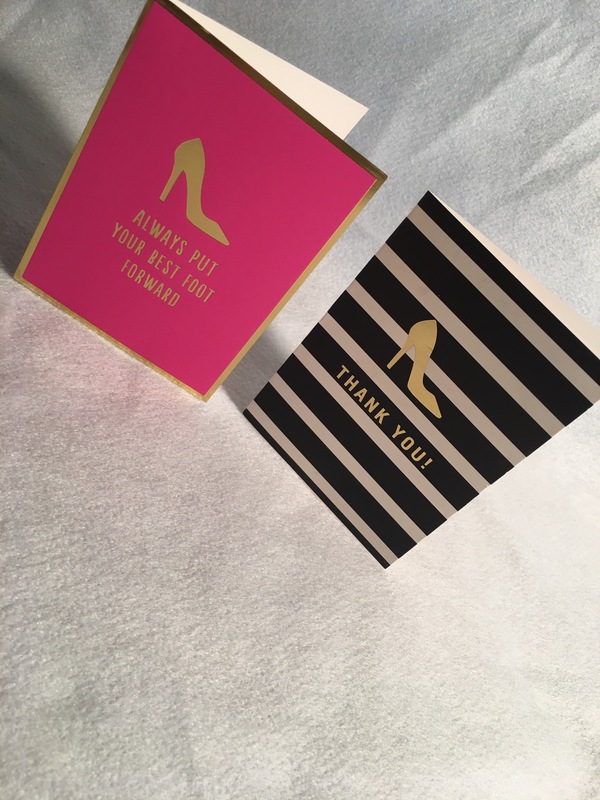 When thank you cards are sent, most times they are printed or pre-made from a store or online boutique. Don’t get me wrong those are lovely as well. But a handwritten thank you card is much more inimate and warming to recieve. Thank you cards can even be a joy to write. Even though it takes time to think about what exactly to write and then send them out, it can really put an extra big smile on a person’s face. One thing I am passionate about is always putting a smile on my loved ones faces. I love shopping in Tuesday Mornings and craft stores like Hobby Lobby because I always find the cutest stationery and thank you notes set. For all my Kreative Passions orders, I write a personal thank you cards to the customer. I think its more of the thought that counts and it is well apprectiated on the recieving end. Last week, I was shopping at a random Tuesday Mornings store that I came across in the Dunwoody, GA area. I found the cutest collection of handcrafted cards and stationery sets. I kid you not, I was like a kid in the candy store. I sat on the floor of the store and went through three entire bins of greeting cards, notepads, calendars, and thank you card sets. If I could I would have come out of that store with every single set. But I have put myself on a personal spending budget- so I only picked on set. For $5.99 I got this girly styles Note Card Set with includes 50 Note cards in 2 designs with matching envelopes and a cute little box to match. First of all the note cards are super cute and give me this amazing Kate Spade tease. But the packaging excited me the most. I mean the box designs brings so many ideas to mind. I can use it for little keepsake nicknacks,on my dressor or a travel boc for jewelry, I can given use it as a decor piece or a gift box. I can wait to write more thank you notes for my Kreative Passions orders and put a smile on my customers faces. Yes, these are the types of things that excite me. I can’help it …. I’m a Passionista! A true Passionista writes handwritten thank you notes to show appreciation to loved ones and friends. Previous Sunday is Hair Day !! !